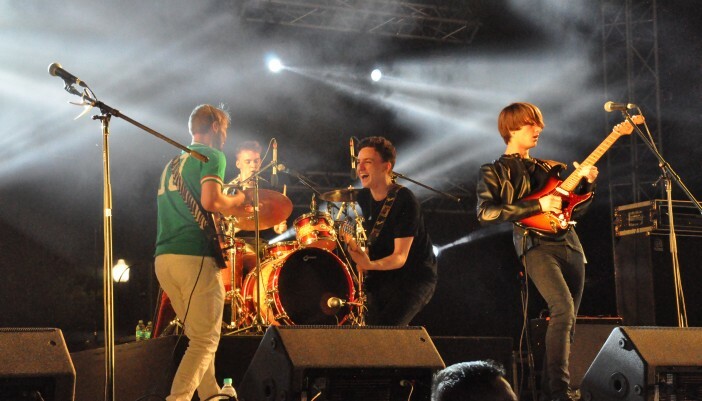 The Bournemouth Academy Of Music have put forward this week’s Artist Of The Week in the shape of The Villanovas. Their song ‘Honest Man’ is a guitar led rock-tinged tune. Whilst listening, I can’t help but draw references to 90s bands such as Blur and Supergrass, but Villanovas have given it a modern twist. Positive lyrics and a great guitar solo midway through keep your attention right to the very end. 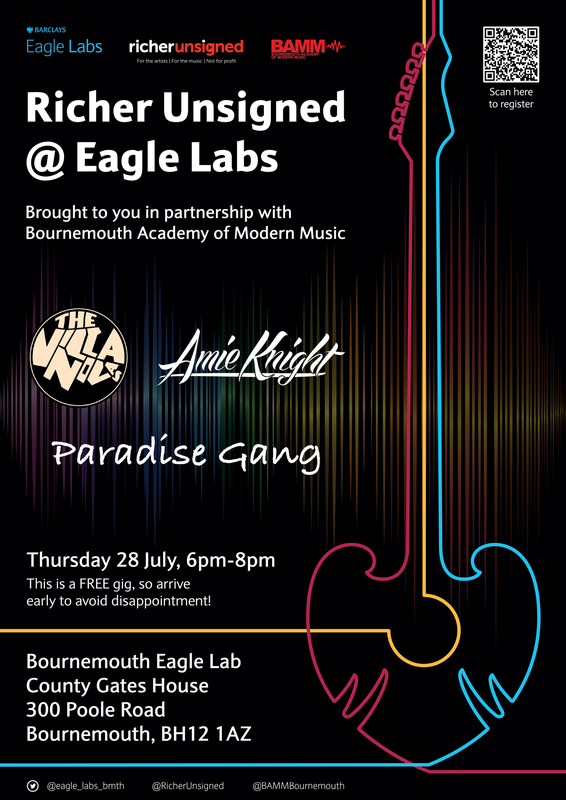 Villanova’s will also be performing as part of our first live event in collaboration with Barclays Digital Eagles on 28th July 2016. It is a free event so if you are in the Bournemouth area come down and take a listen. For more information click here or see poster below.